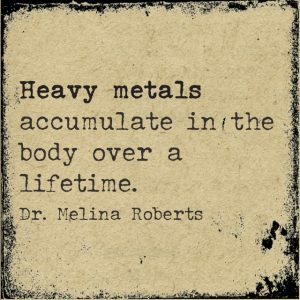 Heavy metals accumulate in the body over a lifetime. 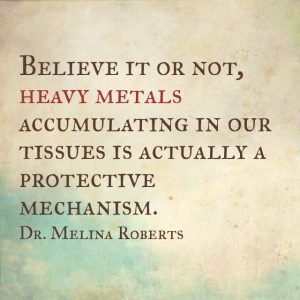 Believe it or not, heavy metal accumulating in our tissues is actually a protective mechanism. 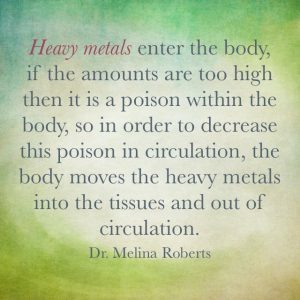 Heavy metals enter the body, if the amounts are too high then it is a poison within the body, so in order to decrease this poison in circulation, the body moves the heavy metals into the tissues, and out of circulation. Therefore heavy metals accumulating in our tissues is actually a protective mechanism of the body.